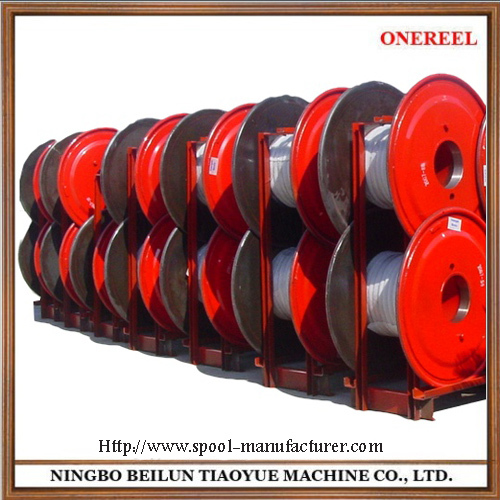 Product categories of Double Layer Wire Spools, we are specialized manufacturers from China, Double Layer Wire Spools, Cable Spool suppliers/factory, wholesale high-quality products of Steel Cable Reel R & D and manufacturing, we have the perfect after-sales service and technical support. Look forward to your cooperation! Reel with double-skin flanges, in pressed steel with a turned drum. The external flange curl is suited for lifting through automatic hooks. The available sizes are as per DIN 46395 / 46397 specifications or as indicated by the Customer, for a normal use up to 1250 mm of flange diameter. This reel is dynamically balanced for speeds up to 60 m/s. Indicated for metallic wires and cables.